Creative IT is a full service HP laptop repair centre located in Central London and serving customers in the UK for the past 15 years. Our aim is to deliver cost effective HP ENVY laptop repair and upgrade services while ensuring outstanding quality. At Creative IT, our knowledgeable technicians and engineers have good familiarity in troubleshooting and repair of the HP Envy notebook PC series and are dedicated to provide individual and business customers with the best services at highly competitive rates. Does your HP ENVY notebook shut down or restart unexpectedly without displaying an error message or are you experiencing other issues such as no LED lights glow during startup or boot, HP Envy laptop overheating, display is dim during or after startup or boot, black screen appears during boot but LED does not blink or beep, booting up issues, error message appears during startup, slow performance, hard drive issues, memory (RAM) or motherboard problems; computer may be infected by a virus, worm, adware, spyware or other malicious software; water or liquid spills on your laptop, or is it that some software applications may cause windows to startup or operate slowly? Our laptop service technicians are all set to help you with all your HP ENVY laptop repair needs. They will promptly diagnose your problem and offer you with a quote inclusive of all parts and labour. We can professionally troubleshoot and repair all HP Envy laptop motherboards with video and display issues such as duplicate images, random characters on the screen, distorted video, no video on the screen, scrambled video, vertical and horizontal lines on the screen, flickering action, intermittent booting and white lines running across screens. 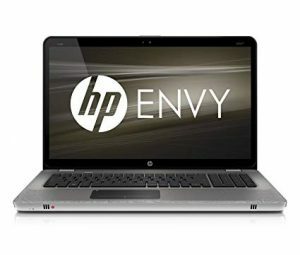 We offer same day HP Envy laptop repair services to customers based in and around London and fast turnaround services to UK customers. We can also arrange professional courier pick up services for those who cannot bring their faulty HP Envy notebook to our Central London repair centre. To know more about our specialist London HP Envy laptop repair and upgrade services, contact us at 020 7237 6805 or e-mail us at info@creativeit.tv.